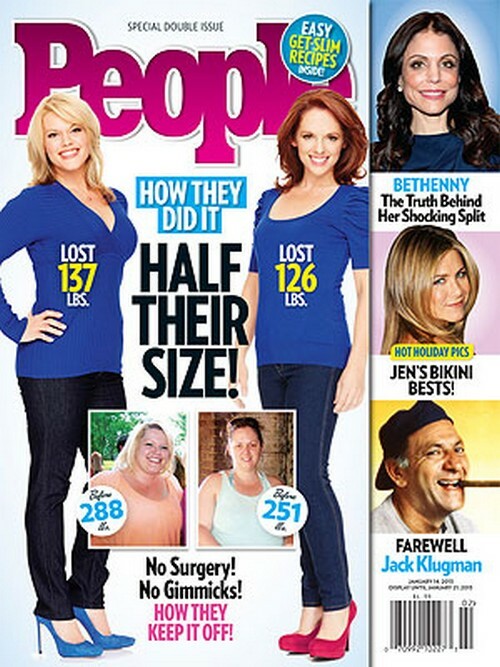 The current issue of People Magazine, which is a double issue, features the cover story “How they did it, Half Their Size!” This week the magazine has the inspiration story of Mom’s Ashley Donahoo and Leah Fernandez, and how the ladies lost more than 100 lbs. Ashley and Leah did not have surgery, nor did they follow gimmicky diets to accomplish their weight loss. In this week’s issue, we are going to be treated to all the secrets of their weight loss. How did they managed this weight loss? Well hard work, diet, determination and exercise. All the hard work paid off and the duo scored this week’s People’s cover. For more information on these inspiration women and their diet secrets, pick up the current issue of People Magazine, on stands now!